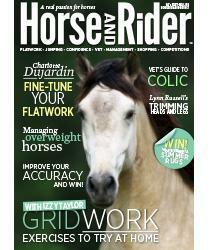 This month's Horse and Rider Magazine has a Gear Guide, featuring rider clothing. If you've seen the feature and something has caught your eye (or even if you haven't seen it!) read on to see which items we sell at VioVet. You could save £££ plus get it delivered to your door, with free delivery on most orders over £29! Okay this one isn't rider clothing but it is featured in the gear guide!